There’s a lot to be said for skiing in the middle of winter: the bitter cold contrasts nicely with the comforting heat of a vin chaud by a warm fire; it feels like an elongated kind of Christmas spirit and you’re likely to see plenty of snow falling. The snow is still falling in all the major resorts, with more centimetres expected this week after what has been a late-starting but exceptionally good season and temperatures are due to remain low, so there’s no danger of an early thaw. But the days are longer now, meaning that you can stay out skiing late into the evening. The sunshine is that little bit warmer too and you suddenly don’t need so many layers on when you head out in the morning. The morning start is a little different too. From this point onwards, there’s no need to rush out onto the pistes at the crack of dawn. Instead, just wait for the snow to soften after the overnight freeze and off you go! By lunchtime, you’ll be enjoying the rays of sun and the heat of it. The pistes are also less crowded at this time of year too and with the winter rush over, you’ll have better quality skiing at a more leisurely pace. year when there’s more going on by way of concerts and other outdoor activities aside from skiing. 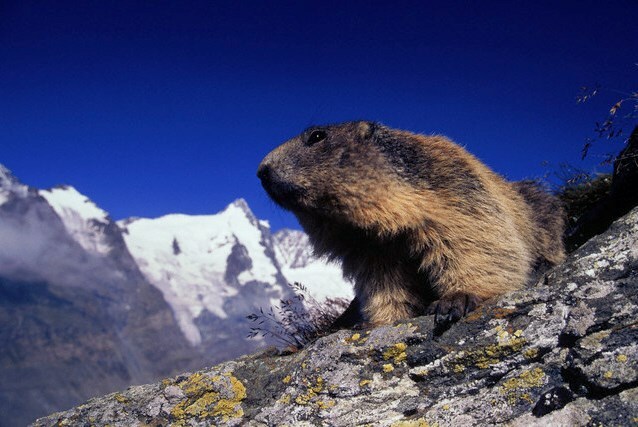 The creatures begin to emerge from their wintertime slumber too and it might surprise you to see how many marmots there are, appearing here and there on your travels up and down the mountains. And finally, it’s cheaper to ski at this time of year. Crystal Ski are offering a 7-nighter with self-catering accommodation in a 3-star hotel in Les Carroz for €328 per person. 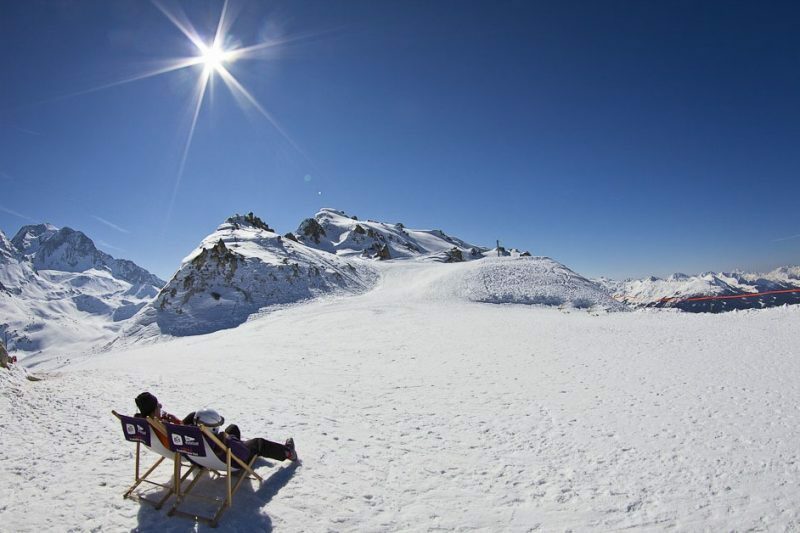 Even fancy Courchevel looks good for Spring skiing at €437 for 7 nights. So what are you waiting for? Unlike this time last year (when many parts of the Alps were getting very brown), this year, there’s no excuse – it’s great snow and great prices season!